← Is Boracay a Philippine island paradise – or a cesspool? Relax at Repulse Bay from bustling Hong Kong! I love city beaches, because you can have all the fun a big city has to offer one day – and relax and recover on the beach the next day. And Repulse Bay is to Hong Kong what Bondi Beach is to Sydney or Santa Monica to Los Angeles. You have a beautiful stretch of sandy beach along the ocean in front of you and a stretch of coffee shops, bars, restaurants and shop right behind you with the skyline of a metropolis as your backdrop! 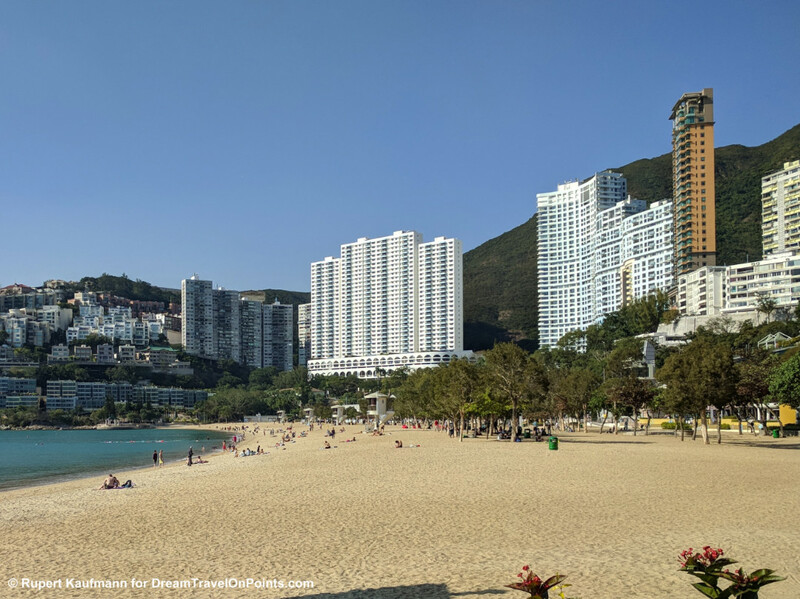 At Repulse Bay you’ll find a well developed beach with all the amenities. 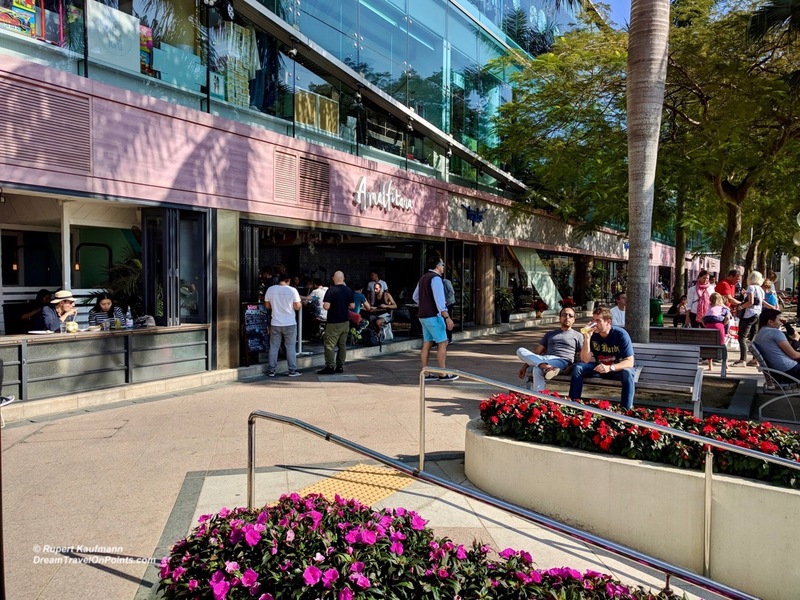 There are public showers and toilets available and you’ll find a wide boardwalk for a stroll, lined by coffee shops and restaurants. After laying in the sun or going for a swim, you can enjoy lunch in one of the restaurants or sip a drink in swinging chairs welcoming the sunset! Forgot anything? No problem, there are stores with all you need for a beach day nearby! 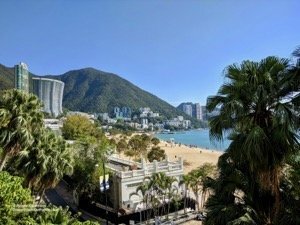 Travel Tips: Repulse Bay is about 30 minutes by taxi from Hong Kong Central or 45 minutes by bus, with several bus or minibus lines heading to the beach! Buses stop right behind the beach, run frequently and are just as easy to catch on the way back. There are plenty of restaurants and bars along the boardwalk – just go for a stroll and pick one that suits you. 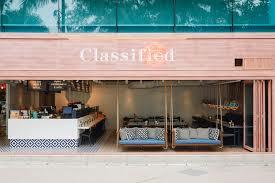 We settled into the comfy swinging couches at “Classified” for lunch and enjoyed the food. Service was poor, but with a view like this, that’s a trade off you might want to consider. Repulse Bay is a small beach in a big city – if you are flexible, come on a weekday to avoid the crowds.